The end of the year will be here before you know it. This is the perfect time to reflect on what kind of year it was for you and your dental practice. Here are a few questions you should be asking yourself to determine the success of your dental practice. How did you grow as a dentist? How happy were your patients? Did your dental practice see growth? Did you get paid fairly for that growth? That last question is a big one. And if your dental practice has more than one dentist, you have to consider how much that person is compensated, as well. So how should you be paid? How about your fellow dentists? The following are a few things you should keep in mind when looking at dentist compensation. Use Entity Type as Your Guide. Your entity type guides how you can be compensated. For example, if you are an S corporation, you can establish a salary and take a draw (or distribution). This differs slightly for C corporations where you can receive a salary and then a corporate dividend. A sole proprietor can’t take salaries through payroll, only draws. Take a Reasonable Wage. Be sure to pay yourself a reasonable wage. Many dentists believe they shouldn’t pay themselves as a member of an S corporation and only take distributions to avoid payroll taxes. This is a common misconception. You need to understand that the IRS watches for this activity – and they will catch you. It’s not worth the risk. Pay yourself a reasonable salary. Maximize Your Retirement Plan. Paying into your retirement plan is an important component of your total compensation. The maximum wage base for a full retirement plan contribution in 2018 is $275,000. You may need to adjust your salary to take full advantage of your retirement plan. Fund Your 401(k) with a Year-end Bonus. Have you maxed out your 401(k) plan? That equates to you contributing up to $18,500 this year. If you are set to fall short, consider taking a bonus to maximize this benefit. The good news is that this bonus is also a corporate tax deduction for your dental practice. While there are compensation issues all dentists must consider, things get trickier when there is more than one dentist in your practice. Let’s look at the common practices that are used today. One method used to calculate compensation is productivity … and productivity alone. The dentist with the most collections receives the largest income and vice versa. However, in many cases, productivity doesn’t tell the whole story. 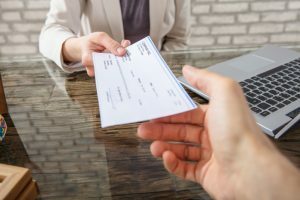 That’s when dentists begin factoring in expenses – like travel, continuing education, auto expenses and meals and entertainment, which are more individual by nature and often pulled into the equation. That’s why some practices with multiple dentists reduce a dentist’s income by his or her own expenses in certain categories. Some practices even take it a step further by factoring overhead percentages into this calculation. The theory is that a higher producing dentist may use more overhead. Unfortunately, there is no right answer to compensating yourself fairly. With hundreds of options, it really comes down to what works for you as well as any other dentist in your practice. Yet, this is an issue you need to review regularly. Distributions should represent a reasonable return on your investment in your practice – separate from your compensation. The last part of the year is the perfect time for this, especially as you contemplate your progress thus far and make plans for the year ahead. Just remember that what works for one dental practice may not work for yours. Need help deciding which option is best for you and your dental practice, contact PMA Practice Transitions. We help our clients through all aspects of buying, selling – and owning a dental practice. Our team will work with you to determine the best strategy for your dental practice.